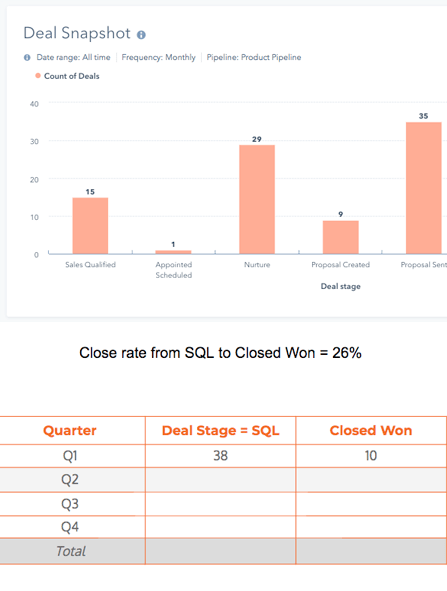 Before a partnership with ManoByte, the HILL DT team was experiencing a large number of proposal requests but struggled to maintain a close rate above 20%. Reps would receive a proposal request, respond promptly, but were met with silence. After some conversations with contacts they were able to hear back from, they uncovered the silence was due to the significantly higher cost of their decompression table as opposed to some of the other (but far inferior) tables. Because of this, sales reps would then spend a tremendous amount of time informing and educating prospects about why their table justifies the higher cost. The ManoByte Team identified the need to fill in some very apparent content gaps in the HILL DT buyer's journey process. Essentially, the prospects were being forced from the awareness stage to the decision-making stage, leaving the very important consideration stage out completely. After conducting persona research, we identified that this resulted in a significant loss in potential sales, simply due to a lack of understanding from the prospect.